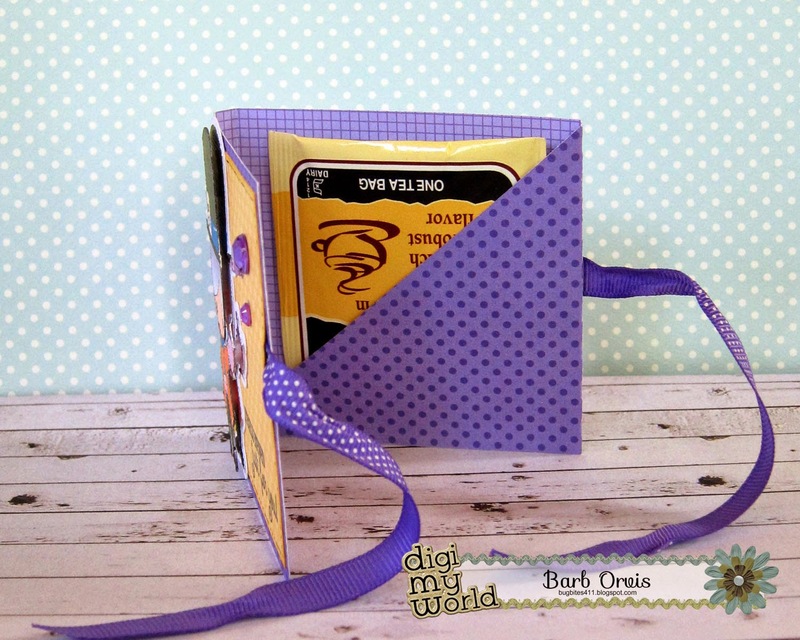 Today I'm sharing a cute little back to school treat I made using an image from the Bushel of Memories set from Digi My World. Jaded Blossom. I also used Jaded Blossom's Mini Tag Dies 2, Fancy Topper Die, and a sentiment from the JB's Fitness Junkie stamp set. Hello! 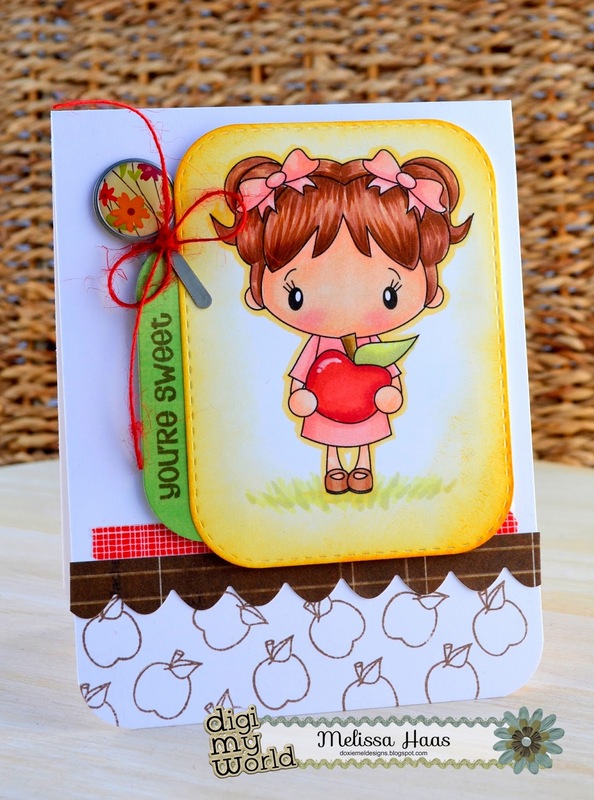 Melissa from Doxie Mel Designs with a new card today. This adorable gal is in a set, Apple Picking. I colored her with Copic Markers and picked out some stamps from Jaded Blossom for this card. You know before SVG Cutting Files I was already following Ann in Digi My World and these were one of the freebies she gave it in her Newsletter. Today I decided to use, "#Combo-06 Jewlery Box," found under Kids/Children at the Digi My World Store! I wanted the image to do the talking on this card! It does open up and the image is on the inside of the card, but is raised to pop out in the front! I used Spellbinders. Standard Circles Large, and Scalloped Circles! The paper is from The Paper Studio, called, Tiny Polka- Hot Pink Tonal! I used Martha Stewart, Branch 2, Copics, Ribbon, and a Pearl! For the wind up key, I used a Pilot, gold marker! Hello everyone! This is GiGi from The Cricut Bug and I have a card to share. 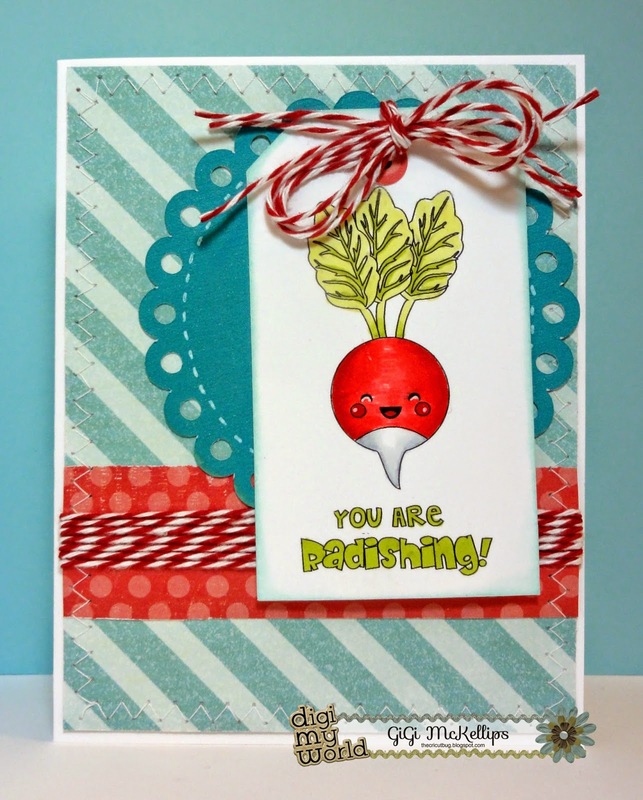 I used the Radishing Digital stamp on this card. 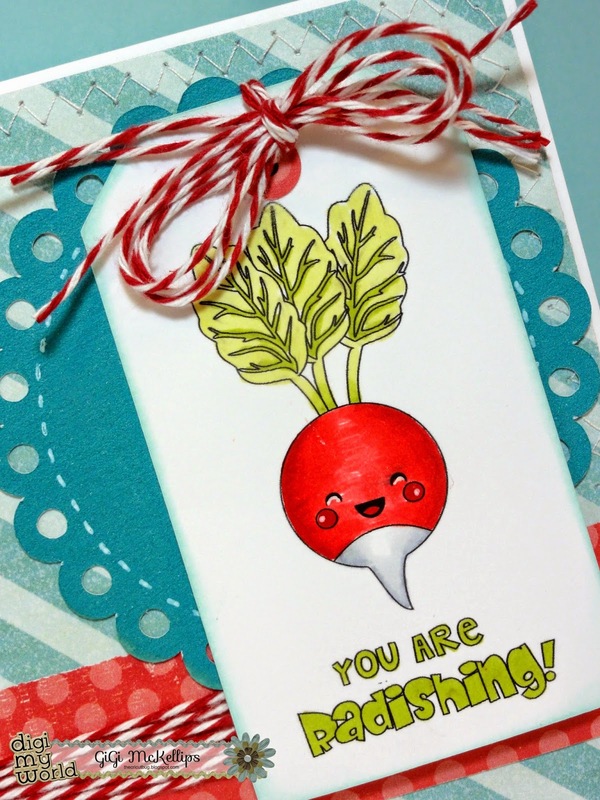 I added the Radishing image to my Silhouette program and separated the sentiment, adding it onto a tag. I then printed and cut the tag out. I colored the image using Copic markers and added white highlights with a gel pen. I cut the scallop mat from the SVG Cutting Files Circle Trio Card Base layers and added a stitched line around the inside using a white gel pen. I used my sewing machine to stitch around the mat and added some decorative paper with twine wrapped around it. I also added some twine to the tag and attached it to the scallop circle by punching a hole and treading the twine through. I hope you all liked seeing my card and thanks for visiting! Good Evening/Good Morning Everyone, Hope you all enjoyed your weekend. Kate here with you today...I am so ready for school to start. For my Project today I used the Letter B..
For my Card Base I used SVG Cutting Files Simple Label Card Base. Hello! 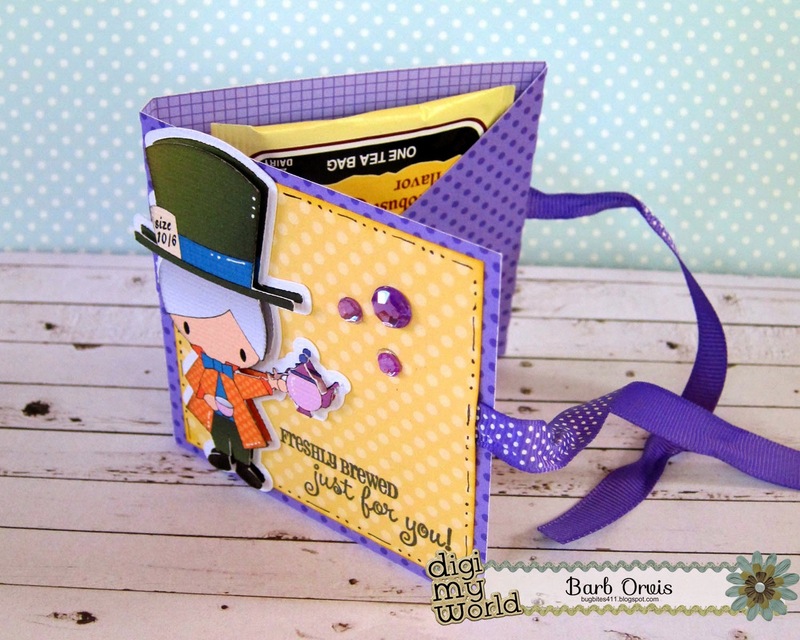 Barb from BugBites here and I am excited to share with you a card I did with another great image from Digi My World. Meet my little Mad Hatter. This Mad Hatter from Alice in Wonderland and is just one of many images in this digital stamp set called Alice's Wonderland. 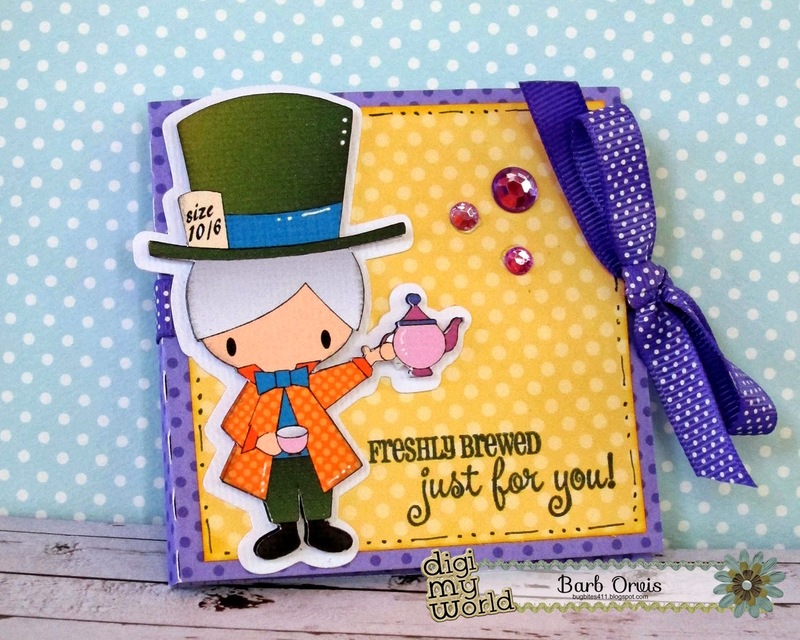 I added him to the front of this super simple tea packet gift holder card. A piece of ribbon across the front/back side ties it all up into a neat little package. 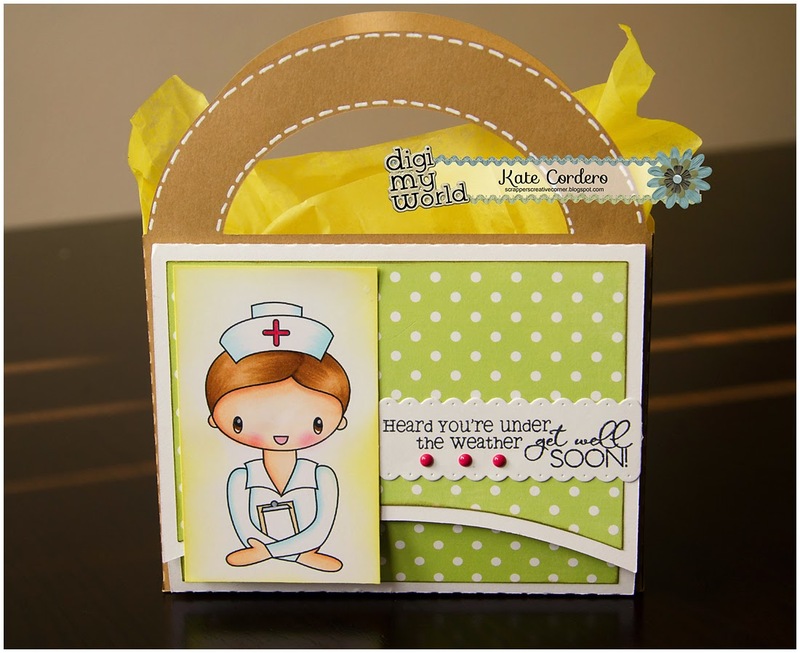 You can find all the details and tutorial on how to make this little pocket card on my blog here. 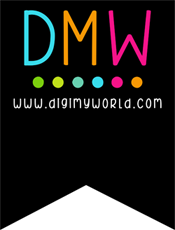 I'm back with another darling digi set from Digi My World. I hope you'll visit my blog for more details about this card using one of Besties images. Here is the entire set which can also be purchased as clip art. Hello Everyone, Melissa here from Doxie Mel Designs with a new card today. I can't believe it has taken me so long to color up this cutie. I thought since Alice is known for drinking/eating, the sentiment from Jaded Blossom's Let's Toast would be appropriate. Hi, it's Sandy here from, A Little Piece of Heaven! 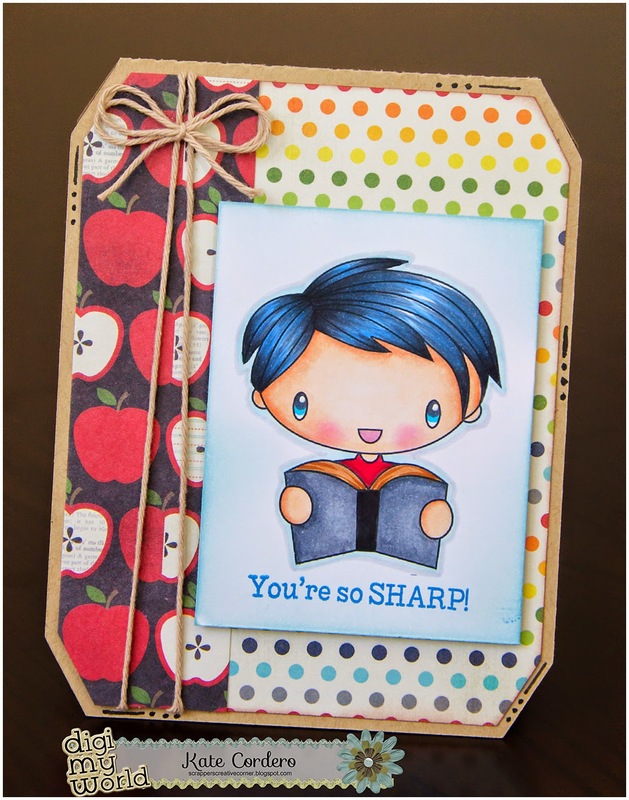 For today's post, I decided to make a card for back to school! One of my granddaughter's is starting Kindergarten this year! Such a big step I think! They just grow us so fast don't they! 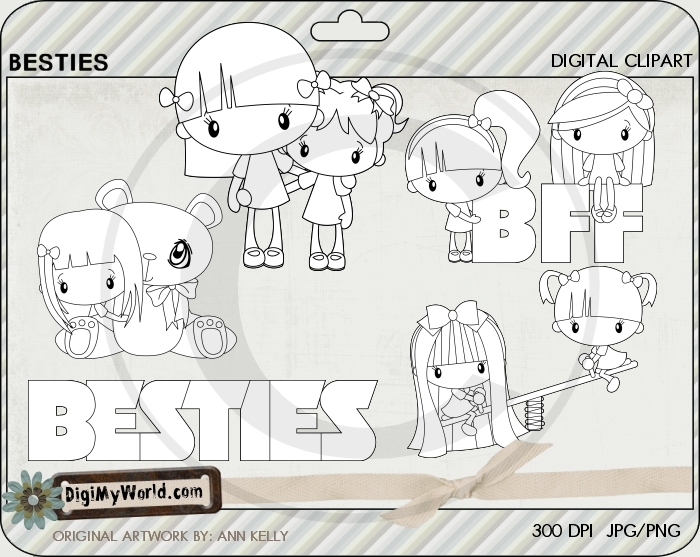 The images can be found at the Digi My World Store under, "Kawaii" It is called, #DS-270 Kawaii School! I used WE R Memory Keepers, Anthologie 6x6 paper pad! I also used Martha Stewart, Layered Arches for the trim edge!